Being ignorant of our opioid epidemic is not an excuse, but the solution by our Surgeon General to go buy Narcan is completely ignorant. 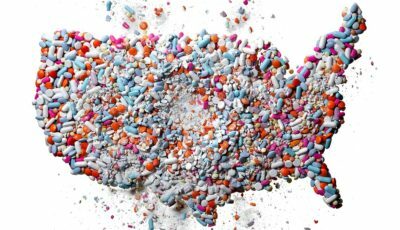 If you have not been paying attention their is an opioid crisis underway. A large portion of the addictions we see today did not start off as addicts. They just wanted to be pain free, not needing to get high. Yet, the Surgeon General just thought it was a good idea to , "urge more Americans to, purchase, an antidote those that overdose accidentally": Narcan. I can not tell you how angry this makes me. As if the solution wasn't a completely horrible option. Now the answer to the the solution for the solutions issues is another thing you and I have to buy? I know I am not supposed to show, or talk about this in a manner that makes me seem as if I am an angry, irrational person. However, I admit, this makes me an angry, irrational person. My family and friends often help me through these times. Again, they have some good advice. Control the things you can. Conservative Management of pain through chiropractic care is what I can do about this problem. Opioid dugs only mask the pain. They do not fix or treat the problem. They make the pain less so you can do more. That being a huge problem because doing more when its a physical issue causes more issues. This misunderstanding can lead to a huge delay in your healing process and often lead to permanent problems that will never go away. Practice analysis of chiropractic 2015. NBCE. The Opioid Epidemic: Impact on Orthopaedic Surgery. Journal of the American Academy of Orthopaedic surgeons, 2015; 23 (5): 267 10.5435/JAAOS-D-14-00163. Randomised comparison of chiropractic and hospital outpatient management for low back pain: results from extended follow up. BMJ 1995 Aug 5; 311(7001): 349–351.